Posted on May 16, 2013 in THE TIMES OF INDIA. NEW DELHI: Regardless of the recent promise made by Prime Minister Manmohan Singh to his Russian counterpart Vladimir Putin on the sidelines of the BRICS summit in Durban about the early commissioning of the Kudankulam nuclear power plant (KKNPP), the government has instructed the Atomic Energy Regulatory Board (AERB) that safety reviews of KKNPPshould be run with a “fine-toothed comb” without being pressured by commissioning deadline. In fact, the government had recently invited the Operational Safety Review Team of the IAEA to do an independent safety assessment of other Indian reactors, particularly RAPS (in Rajasthan). Last week, the Supreme Court cleared the power plant, paving the way for early commissioning. Originally, the plant was scheduled to be commissioned in 2007. A whole new set of safety checks were conducted by the AERB after four valves that came from a Russian supplier were found to be “deficient”. 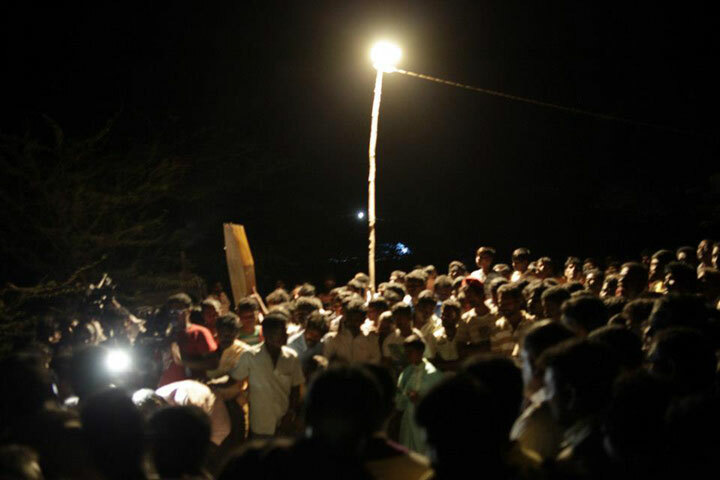 Stung by a series of popular protests about safety issues in Kudankulam, which has inspired protests by a large number of NGOs, the government is keen that no stone is left unturned. If this means the Russians are less than pleased, sources said, so be it. They added that some of the supplies from Russian companies have been found to be below par. NPCIL has that the commissioning of KKNPP would now happen only in June, after another set of checks are carried out. The company said the physical progress of the plant was 99.6% complete. This week a group of 60 leading scientists wrote a letter to the PM, and chief ministers of Tamil Nadu and Kerala asking for more stringent safety checks of the KKNPP. They have sought “renewed study” of safety issues by an independent panel of experts. The scientists — most of them serving in state-run institutions — have expressed doubts, “particularly with reference to possible sub-standard components” used in the plant. These are not scientists advocating against nuclear energy, but concerned about safety issues. “These safety concerns are compounded by the fact that Russian authorities arrested Sergei Shutov, procurement director of Zio-Podolsk, on corruption charges for having sourced cheaper sub-standard steel for manufacturing components that were used in Russian nuclear installations in Bulgaria, Iran, China and India,” they wrote in the letter, The arrest of Shutov, they cited, led to several complaints of sub-standard components and follow-up investigations in both Bulgaria and China. Last week, responding to a question in Parliament, government assured that components supplied to KKNPP are “tested in an integrated manner during commissioning to verify their performance in accordance to design performance criteria. Any shortfall noticed in performance is addressed/corrected as a part of the commissioning programme”. THEIR demand: The right to live free of radiation. The plaintiffs who started the legal battle: 14 children. A Japanese appeals court is expected to rule soon on this unusual lawsuit, filed on behalf of the children by their parents and anti-nuclear activists in June 2011 in a district court in Fukushima city, about 60 kilometres west of the crippled nuclear plant that spewed radiation when a massive earthquake and tsunami hit it more than two years ago. The lawsuit argues that Koriyama, a city of 330,000, should evacuate its children to an area where radiation levels are no higher than natural background levels in the rest of Japan, or about 1 millisievert annual exposure. In a culture that frowns upon challenging the authorities, the lawsuit highlights the rift in public opinion created by the baffling range in experts’ views on the health impact of low dose radiation. Although some experts say there is no need for children to be evacuated, parents are worried about the long-term impact on their children, who are more vulnerable to radiation than adults. Consuming contaminated food and water are additional risks. After the Fukushima accident, the world’s worst since Chernobyl, Japan set an annual exposure limit of 20 millisieverts for determining whether people can live in an area or not. The average radiation for Koriyama is far below this cutoff point, but some “hot spots” around the city are above that level. A prominent medical doctor in charge of health safety in Fukushima has repeatedly urged calm, noting damage is measurable only at annual exposure of 100 millisieverts, or 100 times the normal level, and higher. A lower court rejected the lawsuit’s demands in a December 2011 decision, saying radiation had not reached the 100-millisievert cutoff. The International Commission on Radiological Protection, the academic organisation on health and radiation, says risks decline with a drop exposure, but does not believe there is a cutoff below which there is no risk. An appeal filed is still before Sendai High Court in nearby Miyagi Prefecture more than a year later. After the 1986 Chernobyl disaster, which emitted more radiation than the Fukushima Dai-ichi plant, the Soviet government made it a priority to evacuate women and children from within a 30-kilometre radius of the plant, bigger than the 20-kilometre no-go zone around the Fukushima Dai-ichi plant. The number of children behind the original lawsuit dwindled to 10 for the appeal, and is now down to one as families left the prefecture voluntarily or the children grew older. Legally in Japan, a city has responsibility for children only through junior high (7th-9th grades), since high school is not compulsory. But the case serves as a precedent for other Fukushima children. Toshio Yanagihara, one of the lawyers, criticised the government as appearing more worried about a population exodus than in saving the children. After Chernobyl, thousands of children got thyroid cancer. Some medical experts say leukemia, heart failure and other diseases that followed may be linked to radiation. In Fukushima, at least three cases of thyroid cancer have been diagnosed among children, although there’s no evidence of a link with the nuclear disaster. There are no comparative figures on thyroid cancer in other areas of Japan. The children in the lawsuit and their families are all anonymous, and details about them are not disclosed, to protect them from possible backlash of ostracism and bullying. The trial has attracted scant attention in the mainstream Japanese media but it has drawn support from anti-nuclear protesters, who have periodically held massive rallies. 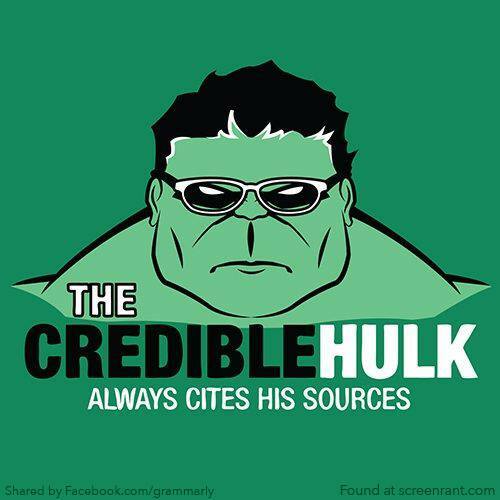 Among the high-profile supporters are musician Ryuichi Sakamoto, Manga artist Tetsuya Chiba and American linguist and political activist Noam Chomsky. “There is no better measure of the moral health of a society than how it treats the most vulnerable people within it, and none or more vulnerable, or more precious, than children who are the victims of unconscionable actions,” Chomsky wrote in a message. A 12-year-old, among those who filed the lawsuit but have since left the area, said she was worried. “Even if I am careful, I may get cancer, and the baby I have may be hurt,” she said in a hand-written statement. At every nuclear electrical power plant, spent nuclear fuel is kept cool to avoid it from overheating that may trigger a self-sustaining atomic reaction leading to a meltdown. At the Fukushima No. 1 nuclear plant there are seven vast clay-lined storage pits each measuring 60 meters long, 53 meters wide and 6 meters deep. Three layers of protective waterproof lining cover each pit. Tokyo Electric Power (TEPCO) said last Friday that one of the systems, pool #2 that keeps spent atomic fuel cool, failed temporarily at the Fukushima No. 1 nuclear plant. On Saturday, TEPCO said that around 120 tons of contaminated water with an estimated 710 billion becquerel of radioactivity probably leaked into the ground under the power plant. The process of pumping the remaining 13,000 tons of the water in the pool #2 into other tanks would take days. How the water escaped will remain a mystery until they drain and check the faulty pits. TEPCO did not give any explanation about where the leaked contaminated water might have ended up. On late Sunday, TEPCO confirmed that a second underground storage pool #3, has leaked three liters of radioactive water at the disaster-stricken Fukushima No. 1 power plant. However, the water level inside pool #3, has not gone down, indicating the leak is not that large. According to TEPCO, since this second leak is small, there are no plans to drain pool #3 into another storage area. TEPCO is transferring the remaining water in pool #2 to two other pits. However, the water leaking from pool #3 is raising questions about the trustworthiness of all the pools and the risk to the environment. Aside from the pools, the power plant has another headache. TEPCO stores tainted seawater perpetually needed to cool the melted fuel rods of the damaged reactors, in makeshift storage tanks. Unfortunately, the holding capacity of these makeshift tanks is running out quickly. On Sunday, Masayuki Ono, a senior TEPCO official said at a news conference that it is difficult for the plant to store all the tainted radioactive seawater in the temporary tanks. At Fukushima, the site of the worst nuclear crisis in a generation, reactors went into meltdown and spewed radiation over a wide area polluting farmland and forcing tens of thousands of people to flee from their homes. Although the natural disaster claimed around 19,000 lives, no one is officially recorded as having died as a direct result of the atomic catastrophe. However, activist groups such as Greenpeace say that the long-term health effects for people in the area are being vastly underestimated by a government pledged to a powerful nuclear industry. Although many voters in Japan distrust the technology, Prime Minister Shinzo Abe has openly said Japan must consider continued use of nuclear as a less-expensive energy source to power the world’s third-largest economy. Nuclear Radiation Impact Being Ignored? On his recent visit to Mumbai, Nobel Laureate Dr John Byrne, Director of the Center for Energy and Environmental Policy, said that every society has to make a basic decision as far as use of nuclear power technology went. But some Indian scientists feel otherwise, despite the fact that the ‘Interim Report on Tarapur’ has found indicators which show radiation-related problem among employees of Tarapur Atomic Power Station (TAPS) and villages close to it. The World Nuclear Association expects India’s nuclear capacity to grow fourfold from its present capacity of 5,000 MW to 20,000 megawatts by 2020, making it the third-biggest market after China and Russia. 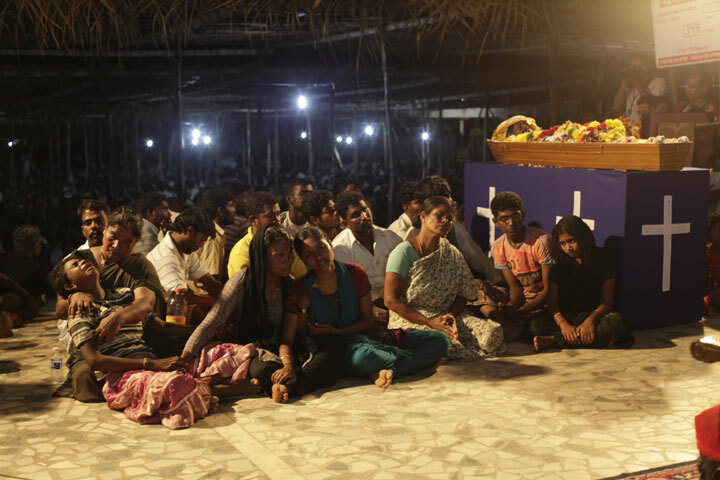 Public health care centres’ doctors, locals, physicians in the vicinity and the medical supervisor were interviewed by scientist Dr V Pugazhenthi from Tamil Nadu, who is renowned for this credible studies on the health impact of radiation around the Kalpakkam nuclear site. He is also one of the members of people’s expert committee in the ongoing anti-nuclear movement in Koodankulam. “I found 100 cases of cancer in 2010 among TAPS employees. Local physicians said that incidents of cancer have been on the rise in the area in the last few years, particularly hepatoma, ovarian cancer, bone cancer, breast cancer and non-Hodgkin’s lymphoma. But there has been no intervention for the victims,” he added. Cancer victims fear being ostracised so that they don’t tell anyone about it, he added. “We are trying to decrease the exposure among workers at the plant,” said MoS Rajendra Gavit to DNA. “Technologically, this system is out of sync, and it is economically less competitive if you switch to other energy sources,” Byrne explained. Goitre cases have also been found in the surrounding villages, local physicians corroborated in the report. “A casual walk through the villages helped me identify 15-20 Goitre cases. TAPS doctors had carried a survey on thyroid problems by the medical superintendent denied it,” said Dr V Pugazhenthi, who had conducted a survey in Chinchani village, 8km from the plant. Back then, 40 cases of infertility were reported by a local doctor in the survey. “Spontaneous abortions, still births, hormonal imbalances in women in the form of excessive bleeding, decreased birth weight and birth defects on the rise,” elaborated Dr V Pugazhenthi. 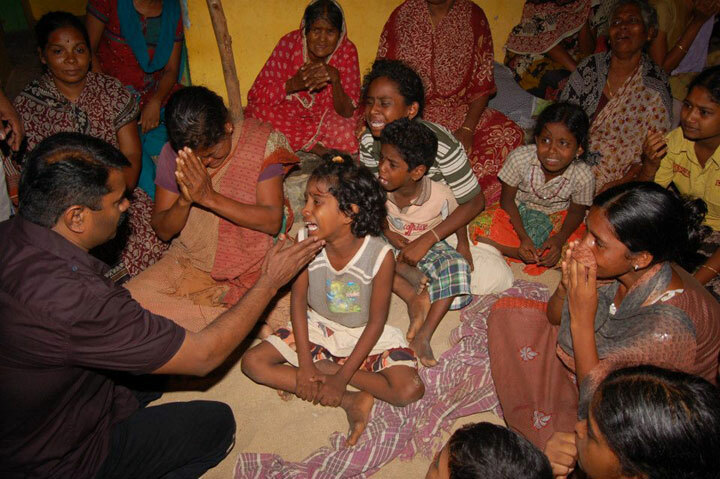 Cases of mental retardation, including Down’s Syndrome, autoimmune arthritis, particularly rheumatoid arthritis, were found in villagers along with high instances of cataract and myopia at a young age. No new health study has been commissioned in the area. French President Francois Hollande is making his first visit out of Europe since he was elected. And he has chosen India as a preferred destination for his visit starting 14th February. On his radar is to sell Areva’s failed EPR (European Pressurized Reactor) nuclear reactors to India. Even as his own country has neither been able to implement the EPR reactors in France or Finland and nor has the US regulator certified it, the Indian government is eager to set up these reactors in a huge area in coastal Maharashtra – at Jaitapur – a highly bio-diverse region that needs preservation. The carrot which the French president is dangling is the supply of fighter jets to India on “favorable” terms. The Indian government for want of more and more weapons (and probably with an eye on making some money out of the deal?) is turning a blind eye to the enormous damage this project will cause. Anuj Wankhede and Cressida Morley write about the Jaitapur protestors, who despite all efforts of the French and Indian governments, remain determined that this project will never see the light of day. The beauty of the Ratnagiri coastline and surrounding area has to be seen to be believed. Any government official from DAE to NPCIL would be crazy to think of destroying or even putting at risk this kind of natural biodiversity. It is already established that Maharashtra state itself does not require any more electricity than is already being produced and the Chief Minister himself is on record as saying that the state will be free of any load shedding by the year end. So for whom is the Jaitapur Nuclear Power Plant (JNPP) being built? Certainly not for the local people, the fishers, farmers and ordinary people whose livelihoods will be destroyed and their lives threatened. The government tells us that nuclear power is needed for ‘development,’ but the people who will be directly affected by JNPP have a very different ideas of what development is and whom it should benefit. The fishing village of Sakhri-nate, is just a few kilometers by road from the proposed JNPP site – only 3 kilometers as the crow flies. You can see the site clearly just across the sea. Slogans such as ‘No nuclear’ and ‘Areva go back’ are painted on walls all around the village and the people against JNPP vehemently say they are prepared to give their lives rather than allow the plant to come up. Recent newspaper reports have shown just how desperate NPCIL is to do a deal with the fishers by raising the compensation for land acquisition to Rs. 22.5 lakh per hectare from Rs.1.5 to 4 lakh announced previously. But the fishers are adamant…it doesn’t matter how much they are paid when their livelihoods, their community, in fact their very lives are on the line. Most of those opposed to the plant in Sakhri-nate are fishers but there are people of different professions as well, showing that it is not just a direct concern for livelihood but a much wider fear that JNPP will in fact destroy their lives and community. The activists have detailed knowledge of how the JNPP will affect their lives. For fishers, this knowledge may not be scientific in the academic sense of the word, but every day they observe the sea intimately as their lives literally depend on it. The knowledge that they have gained through long experience cannot be easily dismissed. The fishing community is concerned that the effluent water used for cooling the nuclear plant – which will be pumped back into the sea at a temperature – at least 5-7 degrees Celsius higher than the natural temperature – will have a disastrous effect on the fish population and their breeding. The Government is trying to assure the fishers that a rise in seawater temperature would not affect the fish, except possibly to make them bigger! Obviously, the fishers are not buying this at all. They claim that the fish that presently inhabit their fishing ground will not be able to live in such a changed environment. Even if these fish are able to swim away to other areas of the sea, shellfish, for example cannot escape so easily and will surely perish. Perhaps, different species of fish will come to the area due to the raised temperatures but this also represents an unknown for the fishers. In any case, they refuse to believe that the environment will simply remain the same with such enormous quantities of heated water being pumped into the sea. As one fisher put it, even a refrigerator emits heat which can affect the surrounding air temperature and living things, so how can the government claim that an entire nuclear power plant will have no impact on the environment? Others have expressed fears of terrorism and natural disasters. The cliffs surrounding Sakhri-nate, directly opposite the proposed site for JNPP, are spectacular to say the least. The solid rocks here weather the eternal beating of the sea waves. Yet, this rock was split wide apart by lightening and electrical storms that are common in the area. It’s easy to imagine similar lightening bolts falling just a few kilometers away, and the damage they would do to a nuclear reactor. It would be a disaster of unimaginable proportions indeed. Especially after Fukushima, the fear of accidents is very real and no amount of government assurances has convinced the activists that JNPP will be totally safe. The level of distrust towards the government is very high and palpable. Activists claim that the government contradicts its own reports and does not disclose ‘inconvenient’ information besides they feel the government is least concerned about the locals. Rather than the government, Sakhri-nate fishers would rather believe their fellow fishers from another part of the state – Tarapur. They have travelled to nearby Tarapur which as the site for the first nuclear reactor to be built in India and they have seen what the nuclear power plants have done to the fishing catch. The fishing community at Tarapur is practically out of business due to the low catch and the enforced security ring around the plant which forces them to take long detours into the sea and which entails huge costs on diesel – not to mention the time spent. At Tarapur, the locals were told 40 years ago that the Tarapur NPP was a matter of national pride. The local community and fishermen in that area gladly agreed to its construction, fully believing government assurances that the fish and environment would not be affected and that they would be adequately compensated. They have since been thoroughly betrayed and have warned their fellow fishers near Jaitapur to fight against JNPP – lest the same fate befalls them. 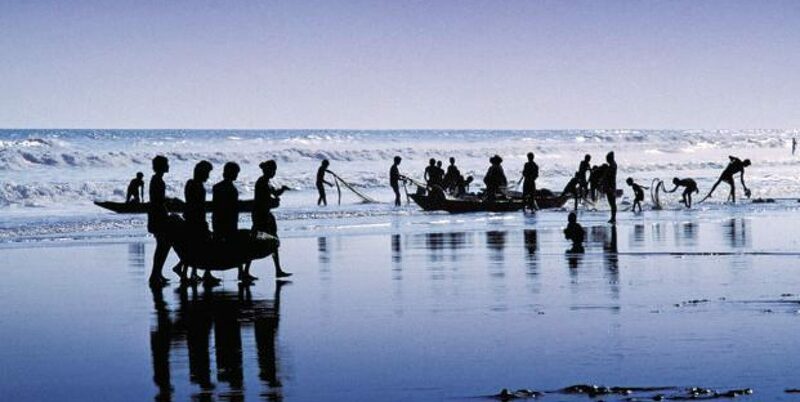 The information received by the Sakhri-nate fishers from the Tarapur fishers is based on their bitter experiences and a shared understanding of the sea and the environment, both of which are integral parts of their lives and livelihoods. Who would you rather believe—the actual experience of your peers or the theoretical science of distrusted governments? The rift between the local community, dead-set against the NPP and the government, equally determined to build it, is not just about differing information and mistrust. There is a more fundamental difference in worldview between these two parties. While the government’s idea of ‘development’ focuses on achieving ambitious electricity generation, attracting foreign capital and making more and more ‘goods’ for an ever-expanding market, the fishers of Sakhri-nate have different ideas. Others said that if development was needed at all in their village, it should be in the form of increased educational facilities – including vocational schools – so that their children would get better employment opportunities – if they choose to. There are also calls for growth which minimizes environmental destruction and which compliments local industries such as food processing factories for the fish and mangoes, also produced in large quantities in the Jaitapur area. The already present ice factories, which provide ice to pack the fish so they can be sent to different parts of the country, are another obvious example of this type of development. It would seem that the government has underestimated the level and type of knowledge and information that the local community has or even tried to understand their concerns – leave alone address them. This is not to mention the high income and living standards enjoyed by the fishermen who do not want this so called lop sided “development” at such high risks. But most of all, the official model of development is being called into question: Why should large-scale industrial projects be encouraged, in this case a foreign-funded project that carries a risk of unimaginable destruction, and why should local communities be required to sacrifice their lives and livelihoods for lighting up city malls while the locals who are being affected by the project will still have only erratic power supply – just as is the case at Tarapur? Fifty years later, uranium pellet factory still a mystery to locals. I’ve known for a while that the four-storey grey GE building at 1025 Lansdowne harboured some process tied to our waste-oblivious nuclear industry, but it’s stayed off my radar – just as it seems to have for other enviros. But recently I learned that an activist fresh from a drawn-out battle against a similar GE facility in Peterborough had relocated to T.O., and was starting to campaign. I figured I’d better learn more. So one afternoon earlier this month, I joined Zach Ruiter of Safe and Green Energy Peterborough as he went door to door informing locals of something it appears they didn’t know: the GE Hitachi plant north of Dupont has been processing uranium into fuel pellets for the province’s CANDU reactors for the last 50 years. Invariably, it hit those living across the street like a bombshell. Ruiter explained that uranium dioxide powder supplied by Cameco Corp. in Port Hope is processed in the plant into hard ceramic pellets that are then transported to GE Hitachi in Peterborough, where they’re slipped into rods and fuel bundles for reactors. And it looks like the operation will continue for another 10 years. In early 2011, both the Lansdowne facility and the Peterborough one received a joint licence renewal following Canadian Nuclear Safety Commission hearings in Ottawa. The fact that something radioactive is going on in the neighbourhood is greeted with astonishment and scepticism. “That sounds weird. I don’t believe it,” said a man walking a yellow lab on Brandon. I admit I also felt seriously underwhelmed. There are no visible markers on the building and fence indicating the presence of radioactive or dangerous materials. Just signs warning about video surveillance. Without noise or obvious signs of pollution, GE Hitachi’s uranium business has been low-key. The building is not on Toronto Public Health’s online ChemTRAC database list of places where toxic substances are used. Some enviros are aware of the site, but are up to the gills with nuclear waste and power plant issues. When I contact GE Canada, company spokesperson Kim Warburton tells me GE Hitachi’s Signage meets Canadian Nuclear Safety Commission (CNSC) requirements and doesn’t need to go further “because we use uranium that is not enriched. ”Uranium powder, she says, “is safe to handle with standardized controls and does not emit a significant amount of external radiation either on- or off-site. ”Many who follow nuclear issues, however, remain wary. Gordon Edwards of the Canadian Coalition for Nuclear Responsibility observes that “the industry generally has a policy of keeping as low a profile as possible. No news is good news. A few days after my tour, I drop into a Dupont Improvement Group meeting and talk to member Richard Mongiat, who’s lived three blocks from the plant for a decade. It has “always been a mysterious building,” he tells me. “I knew it was attached to GE, but I’ve never really known what’s been going on there. “There were a ton of toxic plants,” Mongiat says, referring to the area’s industrial past, and contrasting several ongoing Brownfield cleanups with quiet, unobtrusive, neatly manicured 1025 Lansdowne. Ruiter says he isn’t surprised by the lack of local awareness. In 2010, when he intervened in the CNSC licence renewal hearings, he noticed that while there were nearly 50 objections from Peterborough residents, there were none from T.O. The same thought seems to have occurred to CNSC, the regulator. In transcripts of the 2010 hearing, CNSC member Alan Graham asks GE Hitachi president Peter Mason if those near the Lansdowne site are aware of the presence of radioactive material. The CNSC ultimately deemed GE Hitachi’s public engagement efforts to be adequate. GE’s Warburton tells me the company liaised regularly with a residents’ group until the organization disbanded in the early 2000s. In advance of the 2010 hearings GE Hitachi placed notices in a Toronto daily and on its website. “There was no door-to-door or drop for the neighbours,” Warburton added. A leaflet GE delivered door to door in 2008, advising of a planned emergency exercise, did not mention the plant’s function. In 1999, a fire in the vent stack caused the evacuation of some neighbouring properties. The GE Hitachi facility is part of the nuclear supply chain. This fuel chain is high-risk for Toronto. Do you know what is happening in your neighborhood? Ask more questions. Speak up and go to meetings. Silence can literally equal illness or death. Keep uranium, thorium and other harmful elements and ores in the ground where they belong. In the midst of a stormy debate on atomic energy, Indian scientists are now designing nuclear reactors that can be positioned in the middle of a metropolitan, or any large city. Construction of the reactors might possibly get underway within the next five years. A conventional nuclear plant requires an exclusion zone that extends for 1.6 kilometers radius around the reactor, directly under control of the nuclear power plant administration. It is followed by a low population sterilized zone up to five km from the reactor where the growth of population is limited by administrative control. And finally, an emergency planning zone within a radius of 16 km from the reactor The outermost zone defines the minimum distance to high population centers. The much-delayed 300 MW Advanced Heavy Water Reactor (AHWR), the latest Indian design for a next generation nuclear reactor, now on the design table for close to a decade will burn thorium in its fuel core. Globally, thorium is three times more abundant than uranium. The scientists designing this third stage in India’s 3-stage fuel cycle plan claim that it has several inbuilt safety features to allow the plant to be located even in densely populated areas. Officials said these safety features would it make it possible to meet the next-generation safety requirements like three-day grace period for operator response, elimination of the requirement of an exclusion zone beyond the plant perimeter, hundred-year life duration, and high-level of fault tolerance. Designed with a high-level of fault tolerance, the AHWR provides for a much greater immunity even from an insider threat. He further said that they expect to start construction of the AHWR during the 12th Plan period. A site for building the AHWR, designed by a team of nuclear scientists led by former Atomic Energy Commission chairman Mr Anil Kakodkar and incumbent Mr Ratan Kumar Sinha, is yet to be finalized. A leaked report on Europe’s nuclear reactors found that up to $32bn needs to be invested to prevent disaster. Almost all of Europe’s nuclear reactors are in need of an urgent overhaul that could cost as much as $32bn, according to a leaked draft-report by the European Commission. The Commission is expected on Thursday to finalise its stress test report, which was designed to ensure that a disaster similar to the one at Japan’s Fukushima could not happen again. The report will be debated by EU ministers later this month..
After that, the Commission intends in 2013 to propose new laws, including on insurance and liability to “improve the situation of potential victims in the event of a nuclear accident”, the draft obtained by Reuters news agency said. Of the 134 EU nuclear reactors grouped across 68 sites, 111 have more than 100,000 inhabitants living within 30 km. Safety regimes vary greatly and the amount that needs to be spent to improve them is estimated at $13-32bn across all the reactors, the draft says. France’s nuclear watchdog has already said the country, which relies on nuclear power for about 75 per cent of its electricity, needs to invest billions of Euros. The lesson of Fukushima was that two natural disasters could strike at the same time and knock out the electrical supply system of a plant completely, so it could not be cooled down. The stress tests found that four reactors, in two different countries, had less than one hour available to restore safety functions if electrical power was lost. By contrast, four countries operate additional safety systems fully independent from the normal safety measures and located in areas well-protected against external events. A fifth country is considering that option. The main finding, the draft says, is that there are “continuing differences” between member states’ safety regimes. It also says provisions to ensure the independence of national regulators are “minimal”. “European power reactors should take much more strident efforts in fixing and implementing the safety issues. The stress tests are a voluntary exercise to establish whether nuclear plants can withstand natural disasters, aircraft crashes and management failures, as well as whether adequate systems are in place to deal with power disruptions. All 14 member states that operate nuclear plants took part, however, as did Lithuania, which is decommissioning its nuclear units. From outside the 27-member bloc, Switzerland and Ukraine joined in the exercise. The tests were meant to have been completed around the middle of the year, but countries were given extra time to assess more reactors. Non-governmental organisations are among those who have criticised the process as not going far enough and having no powers to force the shutdown of a nuclear plant. “The stress tests only give a limited view,” said Roger Spautz, energy campaigner at Greenpeace, which believes nuclear power should be phased out. He cited independent research earlier this year which said some European reactors needed to be shut down immediately, as well as the example of Belgium, where the Doel 3 and Tihange 2 reactors have been halted because of suspected cracks. The draft report says the stress tests are not a one-off exercise and will be followed up. Existing legislation also needs to be enforced, it said. The deadline for passing the existing nuclear safety directive into national law was July 2011. The Commission started infringement proceedings against 12 member states that missed it. To date, two have still not complied but the report did not specify which ones. The Commission does not comment on leaked drafts. But on Monday, the EU energy spokeswoman said the recommendations were being finalised and would not be “very, very detailed”. 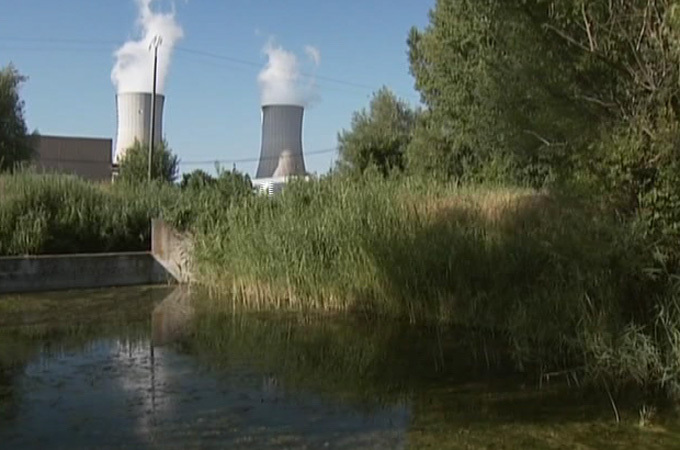 In France, the nuclear watchdog and operator EDF said they would not comment before seeing the official report. Chellamma celebrated and felt the touch of waves and sun that day as the whole village took to the sea in a mighty protest against the death knell being rung loud by the KKNPP. The other day the bells of the Lourde Mary Church in Idinthakarai also rang in unison for the struggle of people to come to a fruition. Chellamma remembered her childhood when as the only sister of 3 brothers, she would sit on the shore of the clean beach and watch the boats come and go. There were no stone pathways ( Pulimuttu) into the sea then and no yellow domes looming nearby. Growing up was not an effort. Marrying into the same village, she also cherished the memory of when illicit liquor brewing was eradicated in the village by the women, including her mother and aunts- how this helped wipe away the tears and fears of many women. The streets of the village leading to the sea was the familiar landscape through which Chellamma walks peacefully home every day. Life was really tranquil, a bit of it still reflecting on her clear face. . Till the yellow domes started appearing as a concept. Promises of jobs came in which attracted some. There were reports of much land being take away in Koodankulam village with little or no compensation. She knew that the march in 1988 to Kanyakumari had to do with the coming up of this new development. The injuries that the bullet created in a villager stands testimony to the first questions that were raised against this. Later the name of the development got known- the Koodankulam Nuclear Power Plant. Little did she know this would ring the real death knell in her house too. 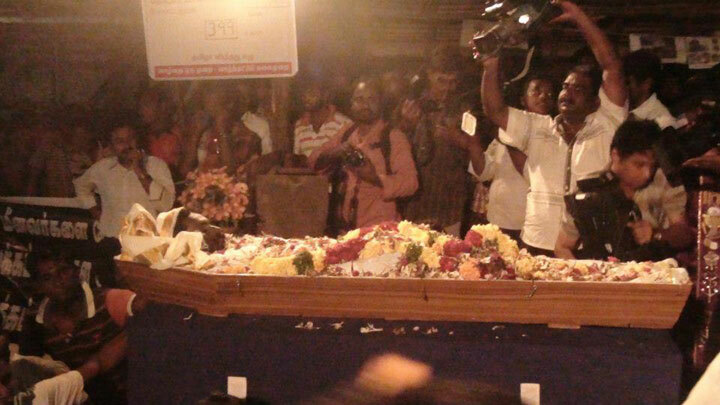 “ For us this sand is precious, said Chellamma picking up a handful of sand in the Samara Pandal. The day passed. Chellamma came back from home refreshed and all set for another day in the pandal. Her clear face and clearer thoughts made one want to share thoughts with her. She wondered about the future of the place. This was mid August 2012. A month after, when in Idinthakarai again for the innovative Jala samarpan day ( Sept 12th) my eyes searched for Chellamma and her quiet wisdom. But I did not see her. Maybe she has gone home to bathe and wash. We took leave that evening from the villages, our minds heavy with the news that Sahayam, a 35 year old fisherman who was shocked out of balance by the Coast Guard Aircraft was battling with life. Whose father, husband, brother, son and friend would he be? Who all would lament his passing away at so young an age for no fault of his? The day darkened over the windmills and the red lights of the KKNPP started shimmering and flashing. 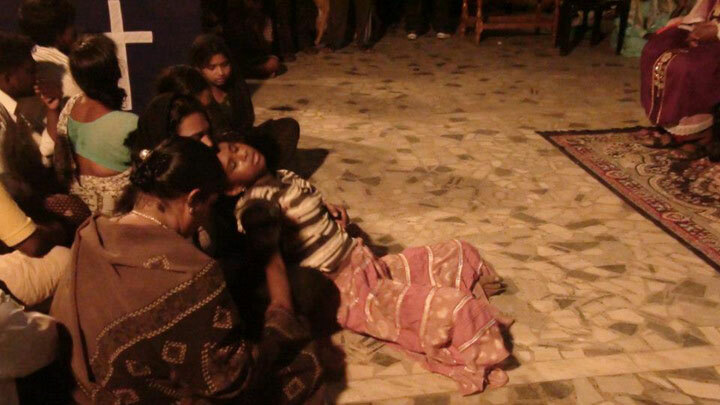 The group of women from Kerala sang their soothing prayers. Next to her sat the mother of Sahayam,her grief pouring gently through the wrinkled cheeks. 96 hours have passed since Sahayam’s life ebbed out of his young and healthy heart. 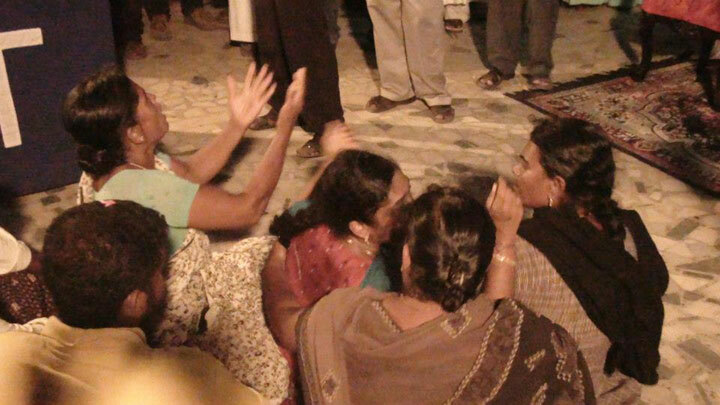 96 hours of incessant lament and tears for Chellamma, his wife, mother and children. 96 hours of no food and water, no bath or sleep. How many more hours to pass before they bring his lifeless form here asks many as they sit watching his picture and that of the one who lost his life near Manapad. What a price to pay for India’s Nuclear Industry to flourish alleging that some foreign funded external agency is working with these people and spreading rumours and fears! Why then is the system cordoning them off with police and barricades on land, with coast guard ships and patrolling vehicles in the sea and old and dilapidated aircraft from the skies? If they are poor and misled folks, why fear them and control them with tear gas and rifles , with lathis and verbal abuses? Why chase an unarmed crowd caught unawares on the sand with arms and threats? Why not dialogue with them and answer their demands and requests? 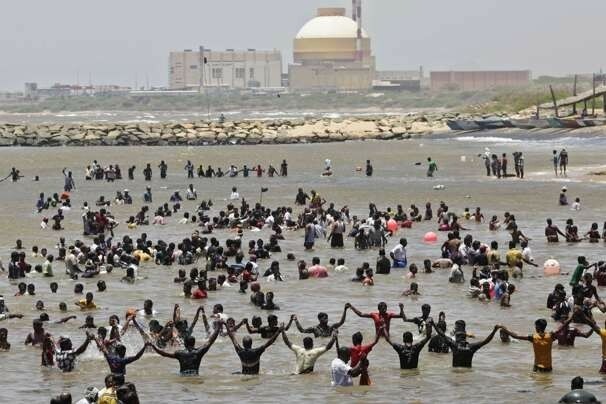 Sahayam would soon be an insignificant number in the statistical records- “one die as people stand in the sea protesting against the Koodankulam Nuclear Power Plant” . But for Chellamma, he would be a dear brother, his mother a son, his kids a loving father and for his wife a caring husband. What a price to pay for a Nuclear Industry that adds to India’s GDP? Recording of Chellamma’s perceptions in “Daughters of the Sea- Voices from Koodankulam /” Satish.K and Anitha.S on www. dianuke.org. 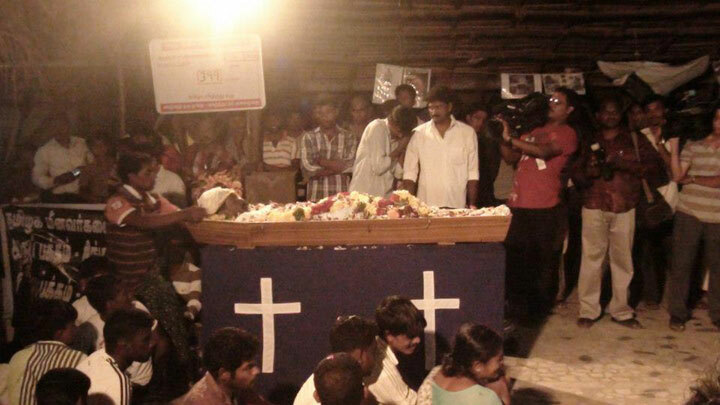 The dead body of 42 year old Sahayam Francis, who died of shock when the Indian Coastal Guards flew the plane at a very low altitude, was brought to Idinthakarai after the procession through some of the coastal villages on Monday evening. 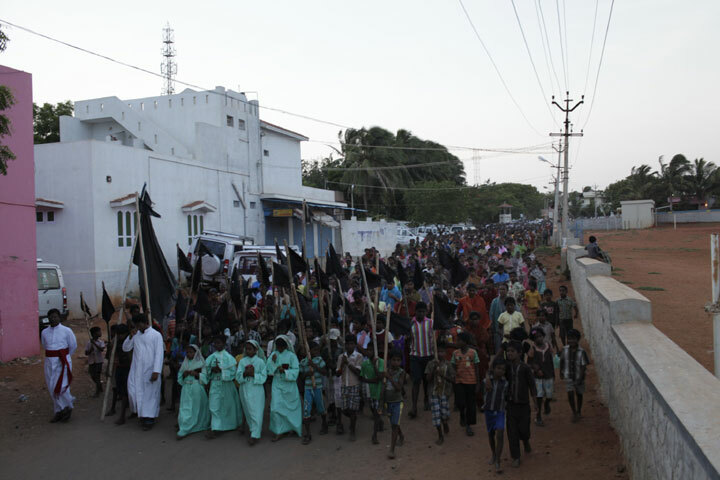 At 6.20pm, the Sahayam’s body was taken on a procession throughout the village and was kept at St Lourdes Matha Church premises. The entire village gathered at the church for the mass led by Bishop Evan Ambrose Peter, after which his body was buried. 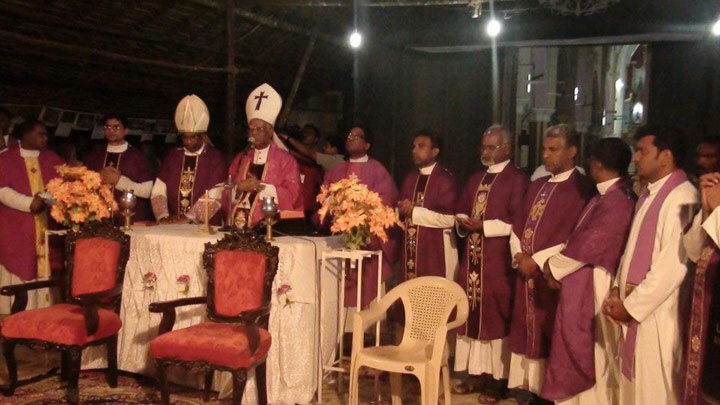 Nearly 10 parish priests from different coastal villages were present during the mass. 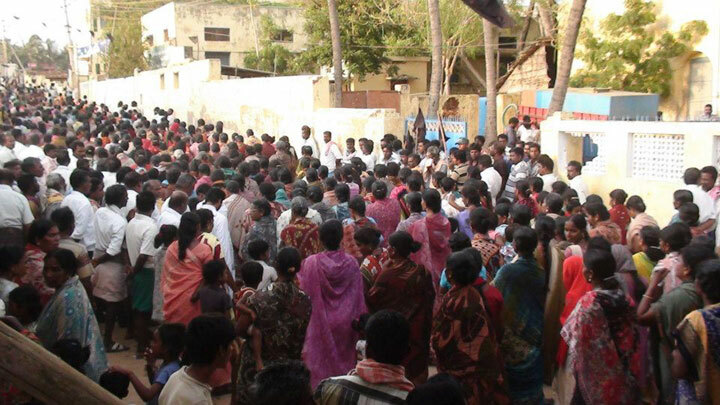 After the mass, people gathered there took an oath to stop commissioning of Koodankulam Nuclear Power Project.